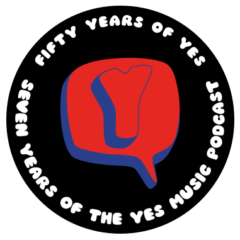 The fiftieth episode of the Yes Music Podcast featuring the Jon Anderson solo album, ‘Change We Must’. As a solo artist, does Jon Anderson sound like Yes? Does this solo album compare favourably with Yes albums? Do the many collaborators produce a worthwhile album or is it a bit of an uninspiring jumble? Listen and see if you agree with me. Then let us know by using any of the different routes on the right hand side or by leaving a comment below! I have to tell you I have listen to all of Jon’s work and before this album was released my favorite solo of Jon’s was Animation which was for years very hard to get up until a few years ago when they put it on CD.I remember when Change came out it was like a God send to me I was amazed that it sounded so nice and clean no hiss just pure joy.I would recommend any Yes/prog person to listen to hear this very special album. Glad to hear your up for the next 50 I like that a lot!!!! Until next week thanks so much for your hard work and dedication to Yes and the Podcast! I will look out for Animation – it’s another solo album I have never heard. Thanks for the tip, Paul! My younger son now has over 20 CDs in his vintage Doctor Who collection and is planning many more purchases. There are lots of Doctor Who podcasts, of course, but I get the feeling most of them are so geeky that I’d soon get lost! Thanks for commenting as always.